Every Catholic School’s week PA gives its students many opportunities to serve the wider community. These events range from a cereal drive to a trip to Feed My Starving Children. This year the Sophomores, Juniors, and Seniors went to Feed My Starving Children while the Freshmen stayed at PA to attend a respect retreat. Seamus Healy, a Freshman said, “It would have been a lot more fun to go to Feed My Starving Children.” This sentiment seems to surround many Freshmen as a few have expressed their feelings of exclusion from a field day. Those attending the upper school service day seem to have had a fun time and say that it is a great organization and an amazing experience. While at Feed My Starving Children students put together and pack meals to be shipped to people in need all over the world. Groups work in short periods of time but accomplish a lot, providing meals for thousands of people. The middle school and lower school also did service projects. 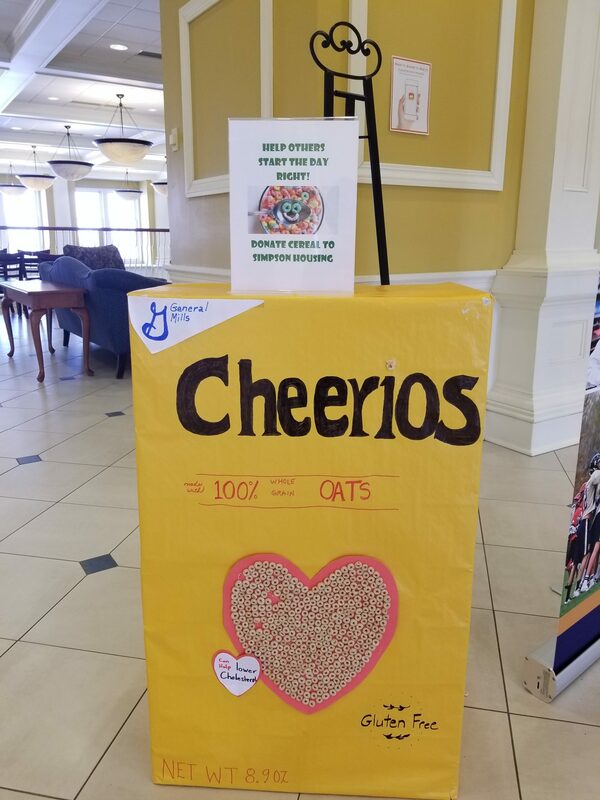 The middle school collected boxes of cereal for the Simpson House and the lower school brought in donations for Sharing and Caring Hands. Mrs. Galgano, the lower school director said, “If a lower school student brings in an item for donation they get to wear their favorite team’s jersey.” The third graders deliver the donations to Sharing and Caring Hands. Middle School promotion for Simpson House Cereal Drive.